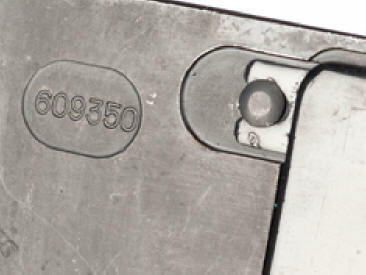 Nikon One 609350 - the 350th Nikon top plate mounted on the 26th Nikon body casting? 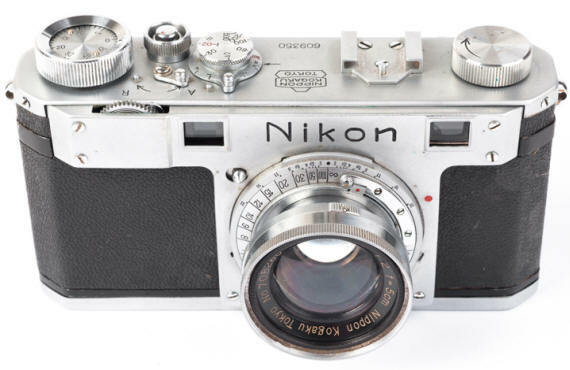 Nikon describes the Nikon One as having a 24x32 size negative. Yet the Nikon One's checked so far have a 24x31 film gate. 609350 with early body casting # 26 has a slightly smaller format 24x31. Other One's turned up with the same 24x31 film gate. Bob Rotoloni solved the mystery by realizing the light bleeds over to make a 24x32 image on the film - something not generally found in Nikon literature. 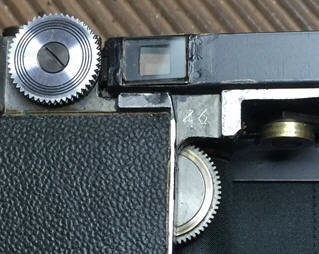 Likewise for Nikon M's, a 24x33 film gate bleeds over to produce a 24x34 film image. Nikon 609350 is very unusual in having 3 different internal body numbers 26 (on 3 parts) 93( on 1 part) and 99c (on two parts). 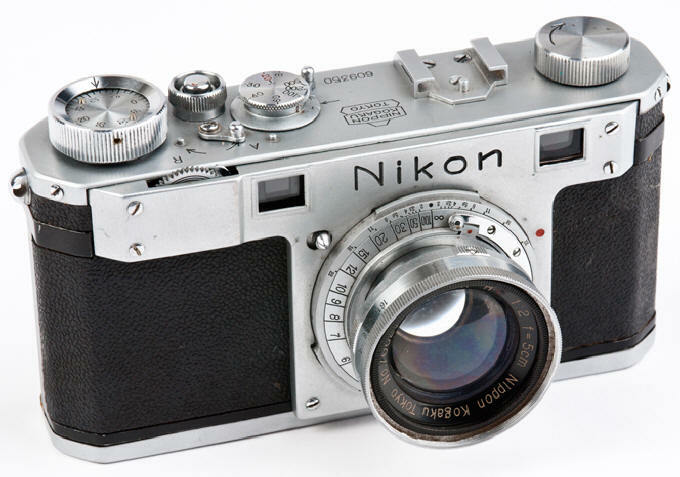 93 and 99 are the highest internal Nikon One body numbers found to date. 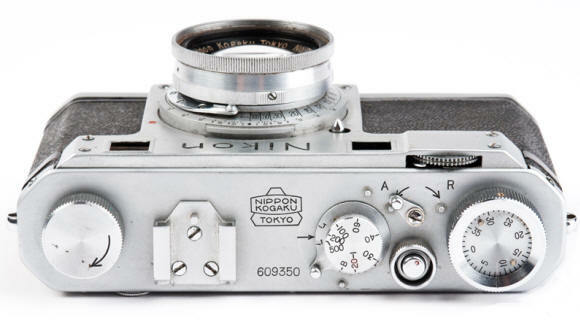 The meaning of these internal body numbers is one of the biggest questions in Nikon collecting. My view along with other data on these mysterious numbers are explained on a separate page. 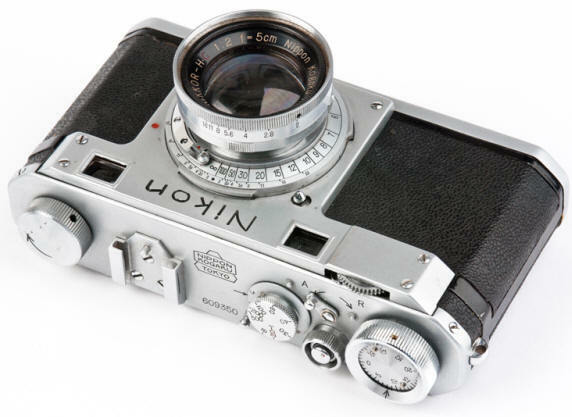 Long story short, I believe Nikon One & M production was much more helter skelter and disorganized that is generally acknowledged in Nikon history books. 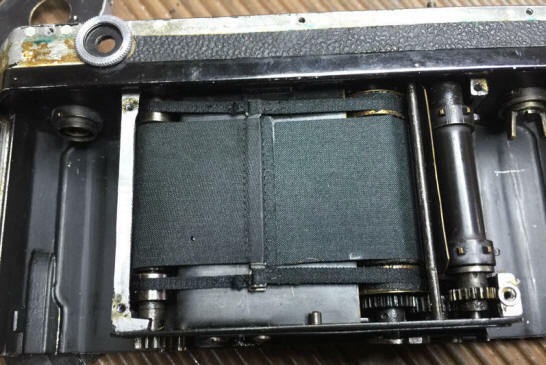 So disorganized in fact that the hidden interior camera chassis number for Nikon Ones is a better indication of camera production order than the serial on the top plate. 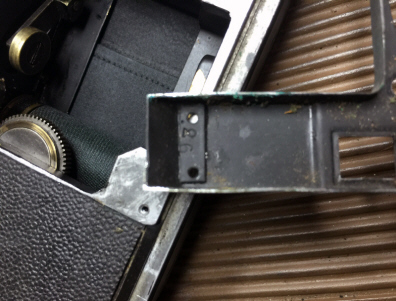 The top plate on this camera says camera 350, but the number 26 body casting seems to indicate its actually the 26th camera remanufactured later with newer parts that would fit and work right. 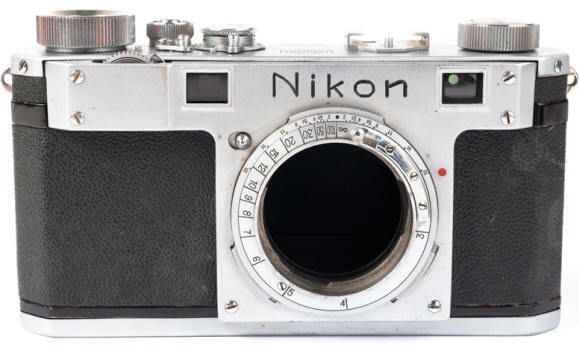 As the first two cameras were prototypes, the 26th camera actually turns out to be the 6th production Nikon camera body casting made. The body casting number is probably the most crucial internal number, as it is the largest part of the camera and what all the other parts are built around. 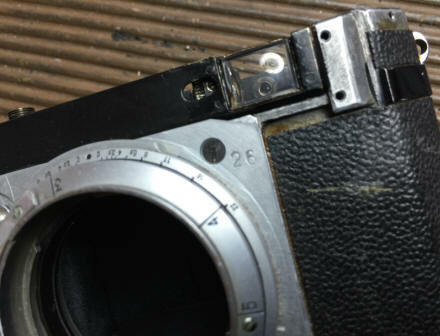 My theory is number 26 body casting, lens helical assembly, and top plate belonged to the 26th camera produced which failed quality control. #26 then went into a parts bin, awaiting the day its problems would be solved and it would make it to dealer shelves with a later number. 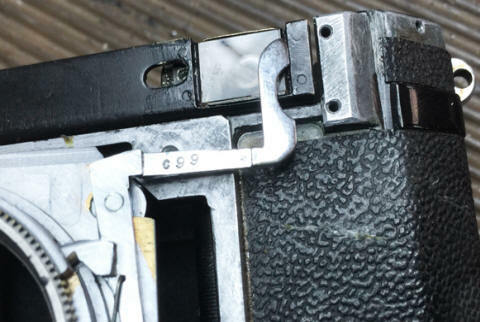 The top plates were hand fitted on the early Nikon One to fit properly. 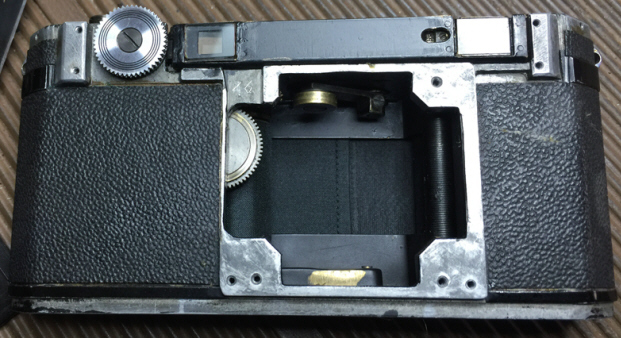 It would make senses to keep the camera top plate and body casting together in the parts bin if they fit properly. Number 26 on the body casting - probably the most definitive numbering location of the body's production sequence. 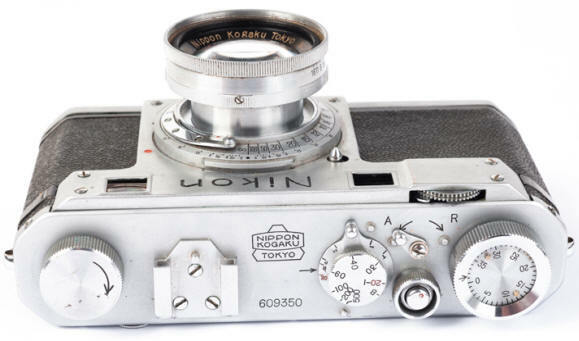 But not all Nikon Ones are numbered there - 60952 has no such number. 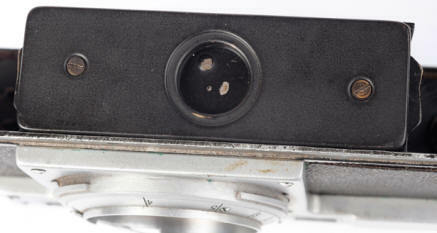 Number 26 on the upper right corner of the focusing helical plate AND number 99c on the lower front of the same plate! 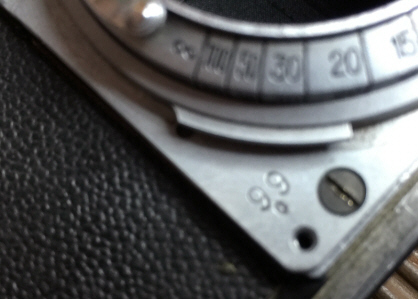 Camera 609171 ALSO has a numbered 26 inside the front plate AND a 26 on the focusing helical plate as pictured above. How could that be? Well, imagine yourself learning on the job attempting to get the parts to fit on the 6th production Nikon camera. The first focusing helical plate you tried and numbered did not fit all that well, so it was dropped in the parts bin. Another 2nd focusing helical plate also numbered 26 was tried, but that did not fit so well either. Camera 26 then went into the parts bin, awaiting to meet its future owner as a updated and modified 609350. 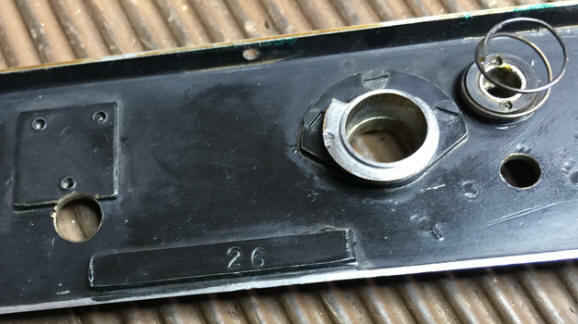 Notice the number 26 on the body casting and the lens helical casting above and (below) added to the underneath of the top plate. 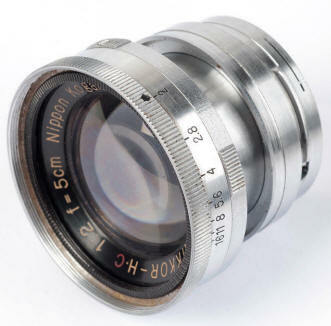 Number c99 on the back of the finger focus release is the highest recorded Nikon One interior number found so far. 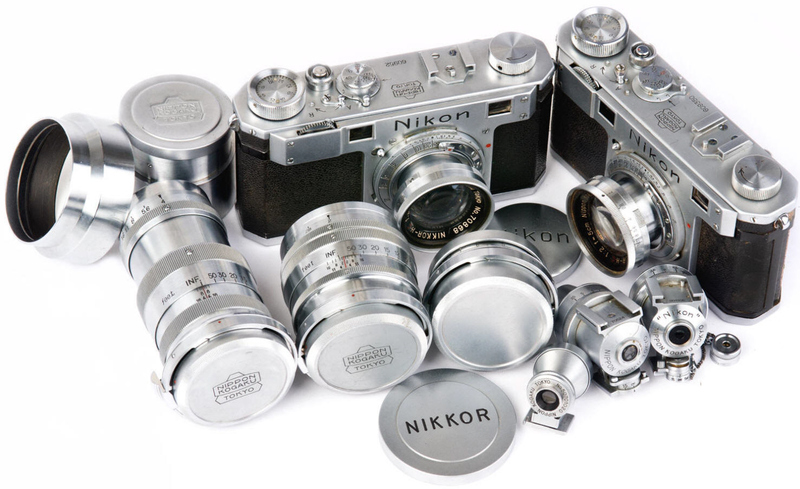 Perhaps only the first 100 cameras had internal production numbers before the practice was discontinued. 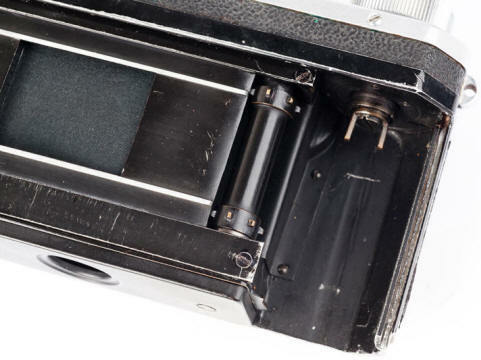 At some point the interior numbers were dispensed with as Nikon manufacturing and quality control made internal matching parts numbers unnecessary. Notice the focusing helical place has 99c in the lower right corner and 26 in the upper left corner. 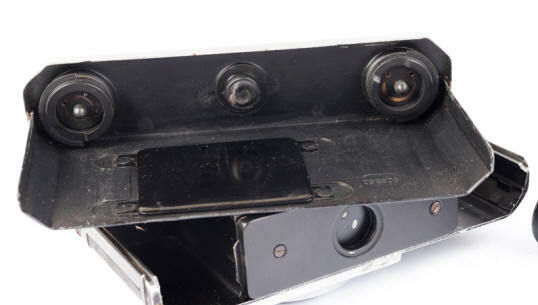 Was there an attempt to reuse the helical plate on the 99th camera which also failed quality control? What the c means is unknown. Could it be a personal symbol for a particular individual assembler? or? Number 99c on the front of the lens helical mount. Number 93 on the back of the front plate. The top plate and the front plate share unusual "add on" metal strips to allow internal number engravings. 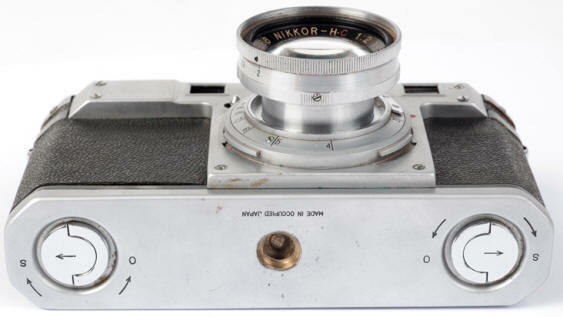 The 609350's film take up spool is detachable - a feature of only the early Nikon One's. 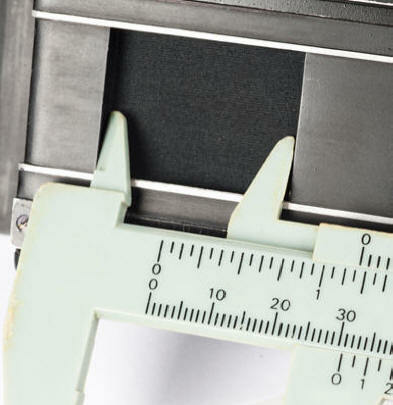 The removable film take up spool and twin film rails are easy quick ways to indentify an early body casting even with a much later top plate number. 60952 with the 23rd body casting has internal numbers on the numbered bottom shutter assembly cover, the film spool take up area, and the camera back. 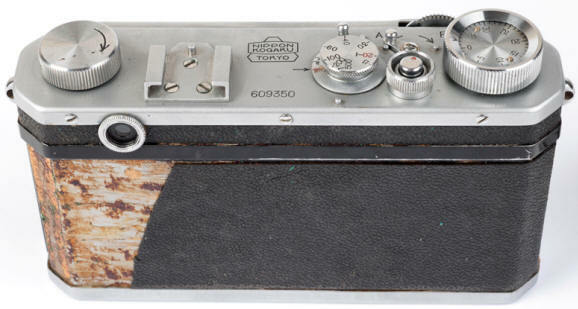 609350 with the 26th body casting does not, indicating rather arbitrary parts numbering for two cameras likely being assembled on the same camera work bench at the same time. The back is roughly done with hand brushed strokes and signs of metal working. It appears to be the original 26 back with the 609350 added later upon completion of the camera. 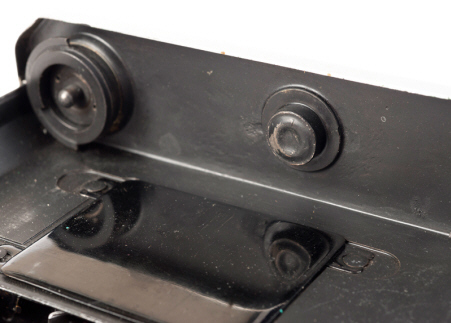 The tripod mount on 60952 and 609350 are welded on, while the tripod mount of 60926 is secured by three rivets - probably indicating production problems on 60926. The back camera serial number inside of an oblong circle is very unusual so far reported only on cameras 609345, 609350, 609352, 609471. Then the oblong circled serial numbers were no more. I'm guessing this was an arbitrary marking by a particular group of workers who were making new cameras from old discarded parts - earlier cameras that previously did not pass quality control. Camera chassis # 26 finally left the factory completed as camera # 609350. Once they ran out of old cameras to rebuild, no more oblong circled serial numbers. MADE IN OCCUPIED JAPAN WAS switched to much smaller letter on the back leather, where it was much less obvious and easily missed .